→How to Administer Gripe Water To Your Newborn? How to Administer Gripe Water To Your Newborn? Being a parent, new or not, is always a challenge, but it’s even worse if your baby is always crying. If your baby cries more than 3 hours a day most days of the week, and it’s been going on for a while, then it’s likely that they are suffering from colic. Gripe water, a mixture of different herbs and sodium bicarbonate, is a popular home remedy for the condition, although science suggests that there is no reason to believe that it provides any relief at all. In this article, you will learn how to use gripe water to relieve your baby from the discomfort, plus everything you need to know about this popular concoction. First, what exactly causes colic? The cause of colic is still unknown, but doctors have their theories. According to them, it may be caused by gas, muscle spasm, stomach pain, and developing digestive system or nervous system. 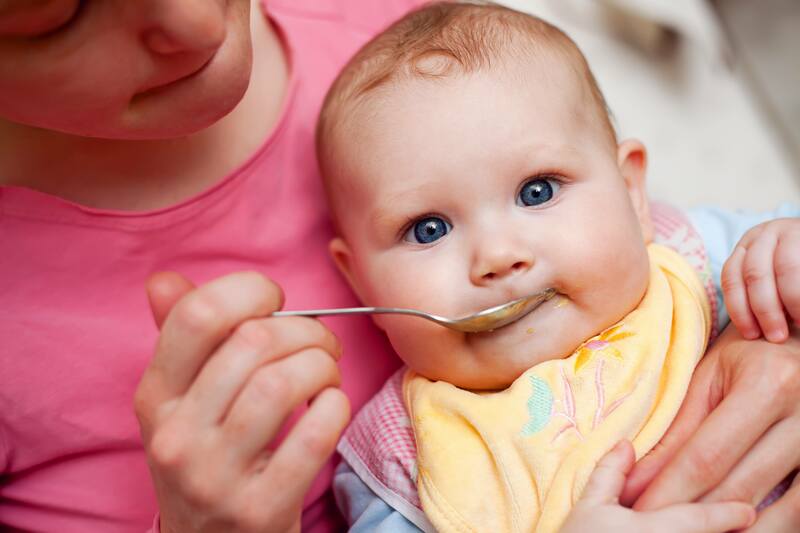 And while colic doesn’t cause long-term defects and goes away on its own within a couple of months, it can make taking care of your baby a difficult task. You may also be constantly worried that your baby is crying the majority of the time. What is gripe water made of? Gripe water is a liquid supplement usually made of sodium bicarbonate and herbs (like chamomile, licorice, cinnamon, ginger, clove, and others). It can be purchased over the counter and is also marketed to relieve teething pain, flatulence, and hiccups. Gripe water was first created in England in 1851, originally to treat malaria. As mentioned above, there is no scientific evidence that gripe water works to relieve colic. However, it remains to be a popular remedy because parents swear by it. Experts theorize that gripe water works to relax “colicky” infants simply because it tastes sweet. When it concerns the health and safety of your baby, it’s always best to get the opinion of your doctor before doing anything. If your doctor gives the OK to use gripe water for your baby, there are things that you have to keep in mind before getting a bottle of this popular liquid. Watch out for allergies. Most don’t react negatively to gripe water, but as with any new food or drink introduced, you should watch out for any early signs and symptoms of allergies like itching, hives, swelling of the lips or the tongue, or diarrhea. Even though gripe water is quite popular and has been mostly safe, you may not be comfortable giving your newborn an herbal remedy that isn’t exactly backed by science. If you find yourself doubting the efficacy of gripe water, or have tried it and saw no improvement, here are alternative methods you can try to relieve colic. No matter how you want to go about it, you should always consult a pediatrician before deciding on a remedy for colic, especially if it’s a homeopathic medicine like gripe water. It’s not toxic to your baby, but it’s always better to be safe than sorry.